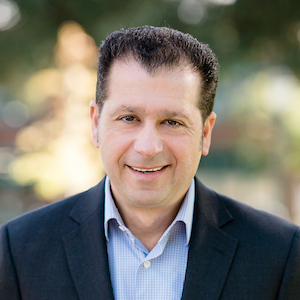 With over two decades of experience in the real estate industry, Samuel Darahdgian has served many satisfied buyers and sellers throughout various markets. Having grown up in Sao Paulo, Brazil, he attended a private American school with a dual curriculum - American and Brazilian. After completing high school, he went on to study at a prestigious Brazilian university before moving to Southern California. Since coming to Los Angeles for the first time in the early 80's, the adaptation to all the different cultures and ethnicities was quite organic. With a deep love for the United States since early childhood, it really was a dream come true to live and work in one of the greatest spots in the country. With a great versatility in languages and cultures, Samuel is also fluent in Portuguese, Spanish, and Armenian, which has been an asset for many of his real estate transactions. Alongside his professionalism, responsiveness, and tenacity, he strives for excellence in customer service and meeting the needs of his clients. Samuel is proud to be associated with Compass, which has 51 office locations in Northern and Southern California, 1700 real estate professionals, and has $14 billion in sales volume in 2017. The firm was ranked #1 Independent in Los Angeles (Los Angeles Business Journal 2017) and #1 Independent in California (Real Trends 2017). Whether you are looking to buy or sell, or just curious about the current real estate market, please do not hesitate to contact him by phone, text, or email.